Shipments are sent via USPS and UPS. Standard shipping is 3 – 5 business days within the US. Shipments are generally processed and sent within 2 business days of an order being placed, excluding holidays. If you require a faster shipping option, please call or email us. Please contact Bullseye Projects to obtain a quote for an international shipment. Delivery times vary for international shipments. All taxes, duties, insurance costs, and fees are the responsibility of the recipient, and we are unable to estimate these costs. There are no refunds or exchanges on international orders. Please be sure your delivery address is secure. Bullseye Projects is not responsible for packages after they are delivered to the requested address. If you would like to pick up your purchase at our Portland, Oregon location, please make your purchase via telephone (503.227.0222) rather than online to avoid shipping charges. Availability of products is not guaranteed. If you have ordered an item that is unavailable, we will notify you via email or telephone. If you receive an item that is damaged, please contact us immediately. All damages must be reported within 48 hours of receipt of order. Items may be returned for refund only within 10 days of purchase, and provided they are in their original condition. Items may be returned for refund only if we are notified of intent to return within 10 days of purchase. Please contact Bullseye Projects for return instructions. Please do not mail any items before contacting us. 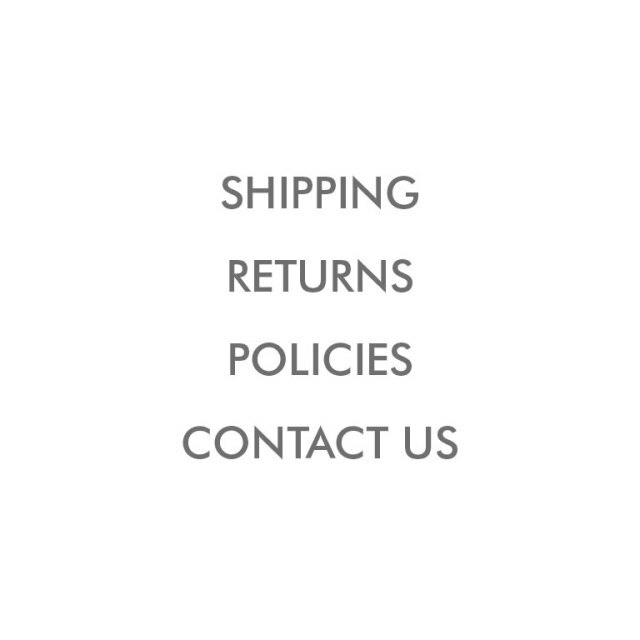 All shipping fees are non-refundable unless product is determined to be defective or damaged. Bullseye Projects is not responsible if the returned package is lost or the item damaged in the mail. All discounted items are final sale and may not be returned. We are committed to protecting your privacy and will not sell, rent, or disclose your personal information to any third party. Your credit card information is secure at all times and is not kept on file by Bullseye Projects. All photos and text are the property of Bullseye Projects.